I was born on the East Coast in the United States and raised in a Christian household by parents who valued faith and education. My childhood was spent between church, school, and all the normal occupations of a boy growing up in the seventies. In high school, I discovered a certain aptitude that I had for the sciences, but I also noticed a tug in my heart to a life of holiness, to ancient mysteries, and above all to the person of Jesus Christ. For college, I went to Franklin and Marshall, where I majored in chemistry. I was enthralled by the logic, the elegance, and the clarity of the scientific method elaborated in theory and applied in practice. I also minored in religious studies, which introduced me to an exploration of religious texts. I especially loved dialoguing with those texts in a respectful way, trying to touch the living truth that those texts convey. As I was finishing my bachelor’s degree, I found myself at a crossroads between continuing my studies in chemistry in which I had already two publications or deepening my inquiry into religious studies. In this battle between head and heart, the heart won. Sort of. I decided to enroll in divinity school, but in choosing among such fine schools as Harvard, Yale, and the University of Chicago, I did so with all the logic and reason of a chemist tackling a problem. I made a curriculum analysis for each master’s program and correlated it with my own aims in embarking on this study as well as my gaps in knowledge that needed to be filled. 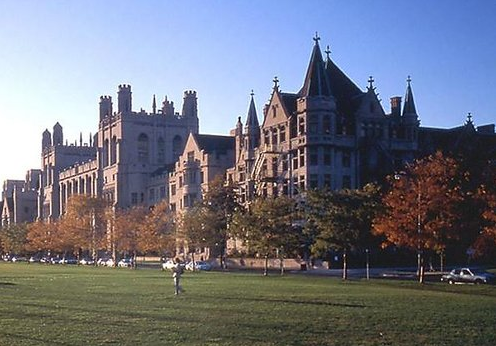 In that analysis, the University of Chicago had the best rating and so I began my master’s degree there. At the University of Chicago, I read day and night…literally. I did my master’s thesis on the literature of Mircea Elliade and Martin Buber and the way the ideas from The Sacred and the Profane as well as from I and Thou were expressed in the literature of each writer. In addition to reading for coursework, I also began to explore texts about the ancient Christianity of the Orthodox Church. I was already drawn to the Orthodox Church after reading Dostoevsky’s The Brothers Karmazov many years before, but in the Orthodox books that I kept pulling off the shelves of the Regenstein Library, I encountered a beauty, a humility, a love, and a presence of Christ that could be felt, seen, and heard. At a certain point, reading was not enough. I had to act. I had to “come and see.” Stepping into an Orthodox Church on the South Side of Chicago for vespers, looking towards the icons bathed in the gentle light of vigil lights and listening to the hymns that touched on such themes as paradise, Adam, and the Lord Christ, I felt that I had found my heart’s true home and, for that matter, my mind’s true home as well. On my winter break with my Master’s degree now completed, I decided to visit Saint Tikhon’s Russian Orthodox Monastery. There, I entered the Orthodox Church, became a monk, completed a degree in Orthodox theology, and taught courses in spirituality and the ascetic fathers as a lecturer at the seminary. Much of my life there, like the life of any monk, was hidden like the prayers in my cell. I tried as best I could to combine what I read in the church fathers with how I lived, with varying degrees of success. It was truly a blessing to be able to teach courses in the Church Fathers. I could learn about their wisdom, impart it to students, and try to apply it in my life. I also had the blessing of learning some Russian as well as learning the services in my native language. While at Saint Tikhon’s, I also had the blessing to make some pilgrimages to the Holy Mountain. These pilgrimages introduced me to the fullness of the monastic life in the ancient cenobitic monasteries of the Holy Mountain. 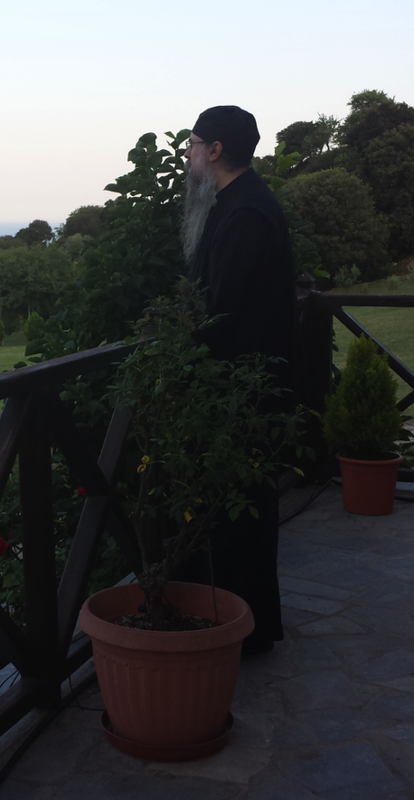 After some soul-searching, I decided to request the blessing to go to the Holy Mountain and live as a monk. I was warmly welcomed into the monastery of Karakallou on the Holy Mountain where I worked in the kitchen for about ten years. I was able to live with monks of varying degrees of spiritual maturity. 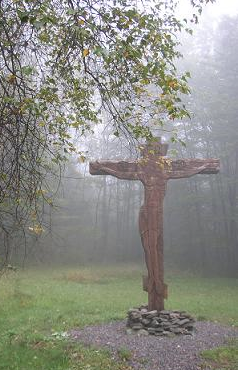 I learned how to keep vigil, how to be obedient, and how to say the prayer. 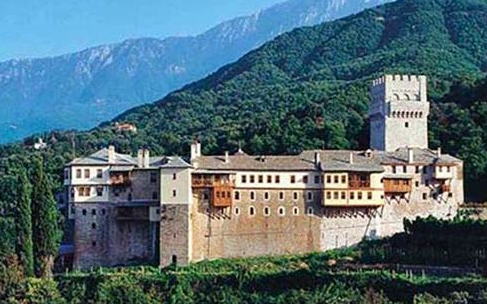 Above all, I learned the Athonite way of cenobitic monasticism and cycle of the services. This was the practical complement to my reading ten years earlier. On the Holy Mountain, I became a great schema monk and a priest. Of course, I also learned modern and byzantine Greek, not to mention byzantine chant as well. I also started translating a number of books from Greek into English on Orthodox theology and spirituality, which in time also got published. 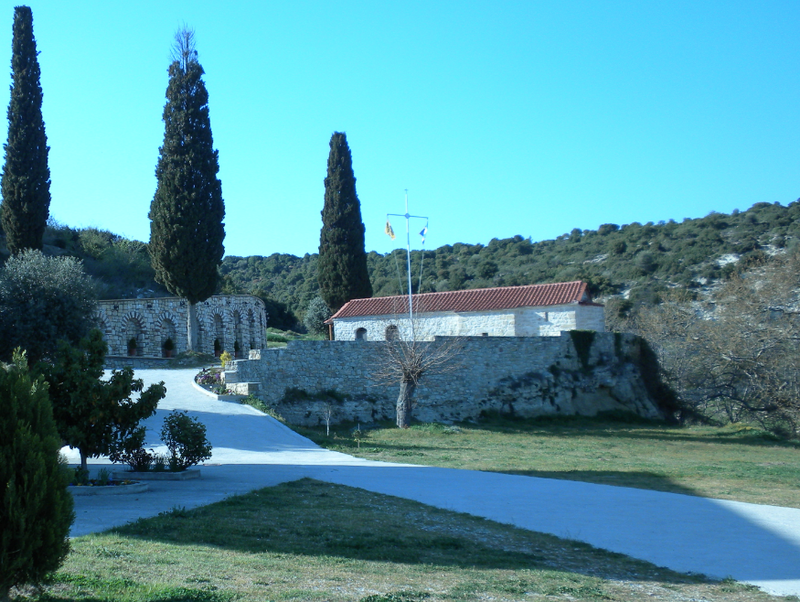 While on the Holy Mountain, I would also be sent from time to time to a dependency of the monastery, a small convent in honor of Saint Demetrios. Developing some health issues, I found it necessary to remain at the convent for access to physicians. It was here at the convent that I also began exploring psychology. I also began a doctorate at the University of Thessaloniki investigating the writings of the Church Fathers in Greek and Latin on the thoughts in contrast with Aaron Beck’s Cognitive Therapy. And it is here, that I feel I’ve come full circle using both my scientific background and my faith for a common aim: to lead a healthy life for the mind, for the heart, and for the soul. For the purpose of the blog, I try to take what is the best that science can presently offer using the consensual criteria of science on the one hand, and then the sanctifying truth of Christian revelation as understood by those who have lived the faith wholeheartedly on the other. I welcome any readers and pray that God bless and guide you all. Fr. Alexis: As an Orthodox Christian and a clinical social work professor, I am eager to obtain your book. At this juncture, I seek ways of bridging the gap between my professional career and my spiritual life as Orthodox. Best. Dr. Ghindia, I am glad you have found your way to my blog. I think bridging that gap is a win-win situation well worth exploring: science brings the clarity of method, spirituality brings ontological depth, and together the possibilities for helping those who suffer seem almost endless.